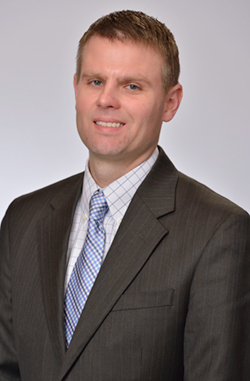 Jamie joined Mosaic Wealth Consulting as a Private Wealth Advisor in January of 2015. He came to the firm after 13 years of experience as an Advisor with MetLife. The decision to join Mosaic was part of his desire to become affiliated with a financial planning driven firm. This is a solution style approach to assisting clients towards reaching personal goals. Jamie is a lifelong resident of Brighton Township of Beaver, PA. He is married to Jessica and has two boys, Lincoln and Bryson. The family time is the main priority of after-hours life. When allotted the time, he can be found doing his favorite hobby, golf. In 2014, he made the decision to join 7-Oaks Country Club in Beaver, PA.
A graduate of Ohio University, he holds a bachelor degree in Finance. Graduation was in November of 2001 and from there he followed his hopes of working as an advisor. Professionally, the accomplishments include passing the Series 6, 7, 63 and 65 registrations. Also, he chose to become licensed as a Life, Accident, Health, and Annuity agent. Jamie P. Patten is a registered representative with Lincoln Financial Advisors Corp.